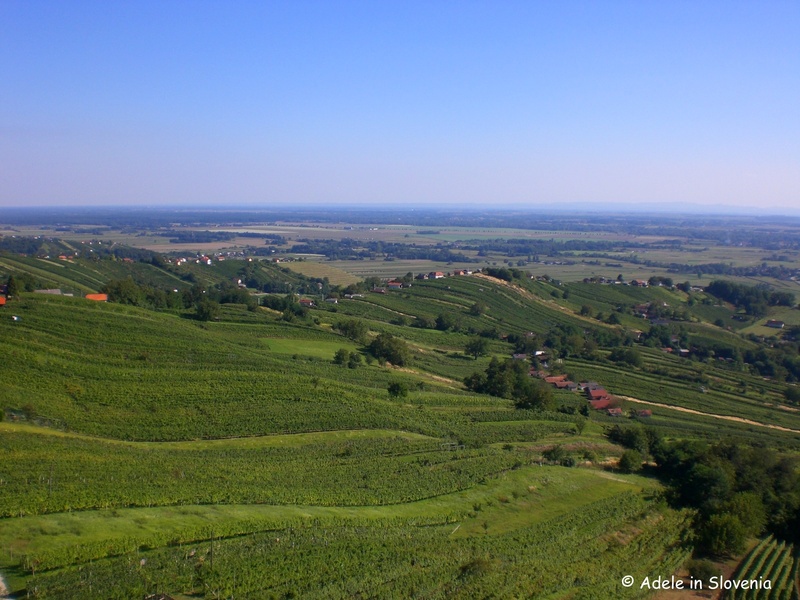 It’s Wine Time – the Vinarium Tower and the Lendave Gorice Hills! St. Martin’s Day is celebrated every November in Slovenia in a big way! Throughout the country, whether in a wine-growing region or not, you will find wine-related events taking place, and, even if like me you aren’t a big wine drinker, soaking up the atmosphere and savouring the excellent accompanying homemade food makes a visit to one of the ‘Martinovanje‘ events a must! 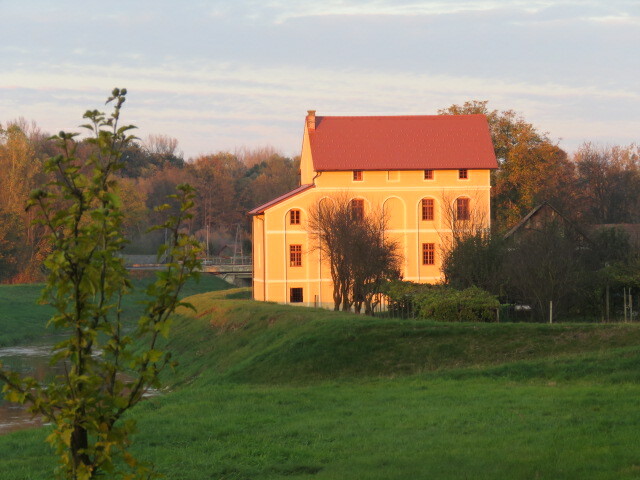 One such wine-growing area is Lendava, in the far northeast of Slovenia, which is a melting-pot of culture and cuisine, with influences from its neighbours – Hungary and Croatia. As one would expect from being up so high, the views extend as far as the eye can see. The Lendave gorice hills are prime wine-growing territory, and it would be rude not to try a drop or two of the local wine after your visit! On the drive between the town up towards the Vinarium Tower, there are numerous small domestic wine producers, where you can stop and sample and, of course, buy some to take home – at prices that you will love! 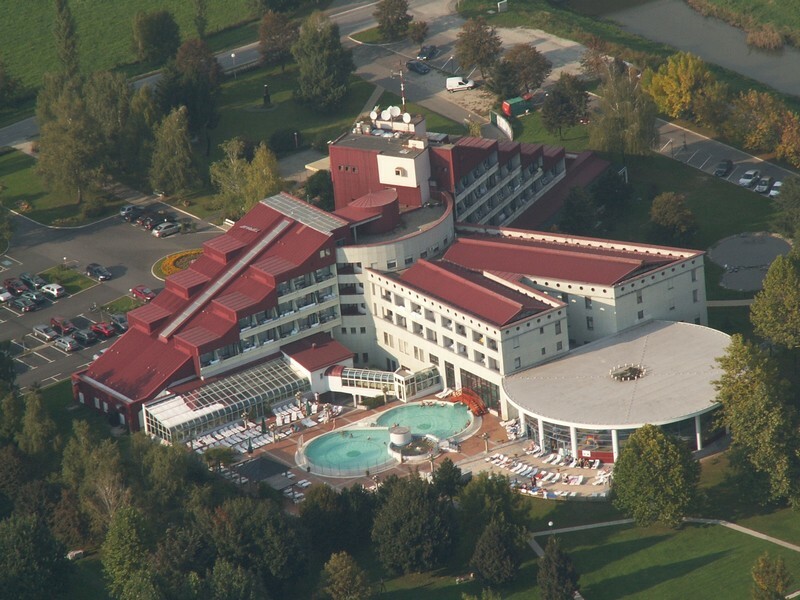 In front of the Vinarium tower, there are a handful of food and drink outlets, where you can enjoy, amongst others, a white wine spritzer – the most typical refreshing drink in this area – and local food such as bograč and langaš. Lendava is synonymous with bograč, which is a dish fairly similar to goulash, however, the secret is in the 4 different kinds of meat and a few other key ingredients (each cook, of course, has their own secret formula!). 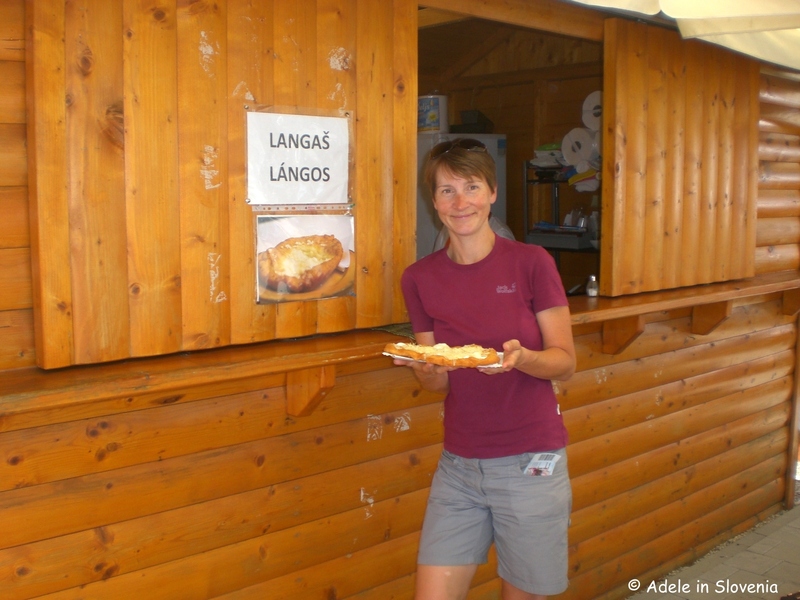 Langaš is a potato-based dough, deep fried and topped with lashings of garlic and oil – healthy it’s not, but then you only live once!. 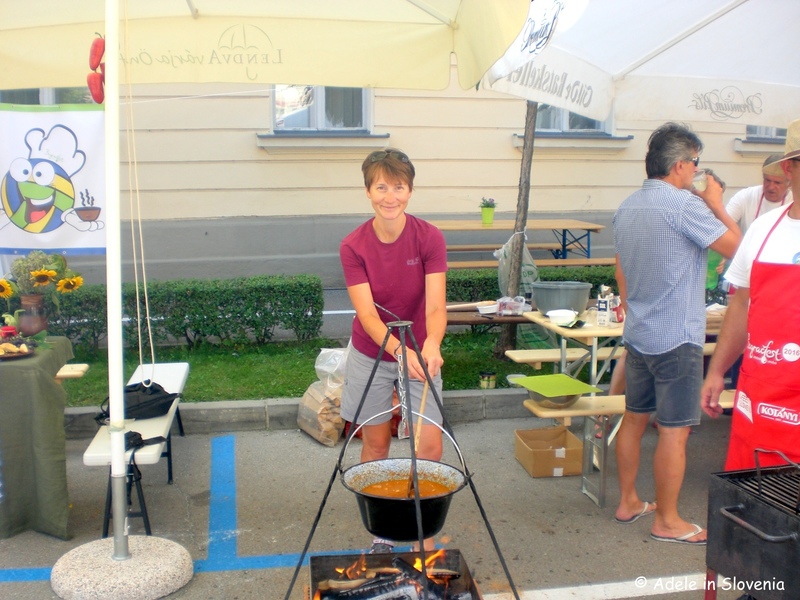 My visit to the area coincided with the annual Bogračfest – a festival and competition in cooking bograč. The centre of Lendava itself has a pleasant relaxed air to it; a mixture of pavement cafes, the imposing St. Catherine’s Church and Lendava Castle perched on a small hill overlooking the town. The castle’s baroque appearance dates from the 18th century, though it was first mentioned in records dating as far back as 1192. Today it houses archaeological, historical and ethnologic collections as well as a gallery. 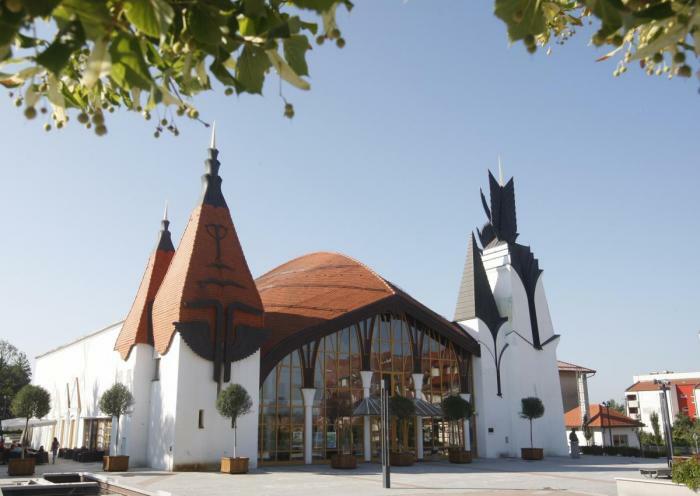 The Cultural Centre, which comprises a theatre and concert hall, is a magnificent eye-catching building. 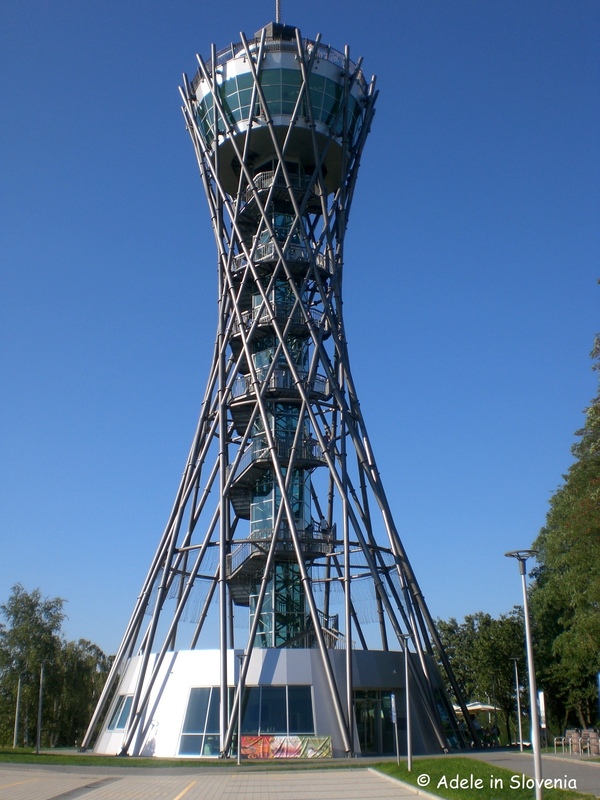 It was actually designed by one of Hungary’s most famous architects, Imre Makovecz. In this part of the country, you will notice all public signs in both Slovene and Hungarian languages, and there are strong ties between the minorities of both nations living in harmony on either side of the border. If, like me, you like cycling, then the area is perfect and you can even visit 3 countries in one ride. Not wishing to be greedy (Ok, time was also an issue, as Bogračfest was calling! ), I ‘just’ visited 2 countries on my 3-hour, cca. 60km bike ride. After crossing the border into Croatia, I, or rather ‘we’ cycled alongside the Mura river, which forms a natural border between the two countries. 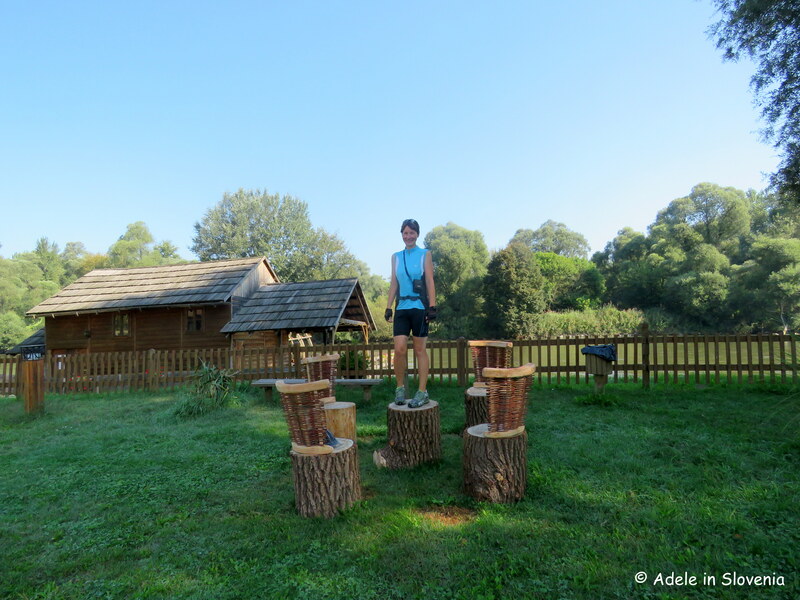 After having a guided tour of the mill, we stopped at a pleasant picnic area near one of the few remaining famous floating mills which are found on both sides of the Mura river. 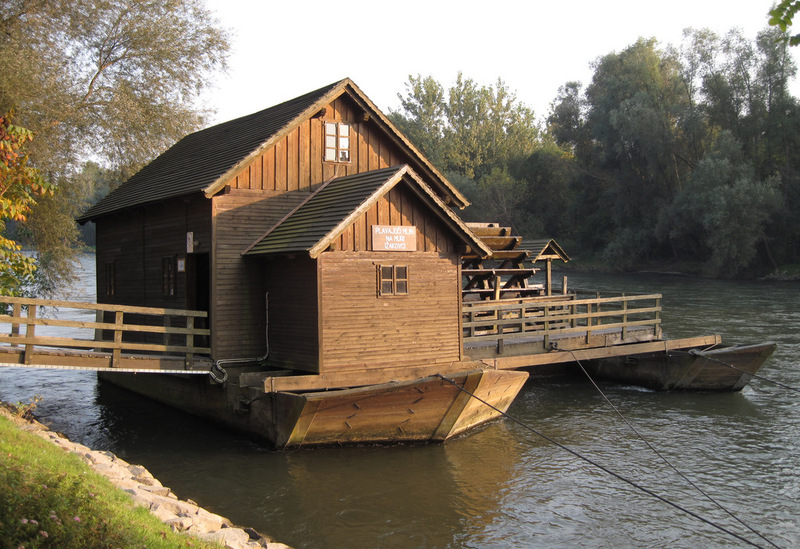 This mill, called ‘The Island of Love’, is located on the Slovene side of the Mura river. Enjoy celebrating St. Martin’s Day – wherever you are and however you choose to celebrate it – no excuses needed! « Taste Radol’ca 2016: The Opening – Too Many Cooks DON’T Spoil the Broth!